Calling all Kiwi filmmakers: It’s time to rise up, throw down the oppression of winter and give yourself a shot at bathing in golden glory. Radio Active 89FM today announced the 11th Handle the Jandal DIY Music Video Awards. The nationwide DIY music video competiton, Handle the Jandal returns home to Wellington’s Embassy Theatre for 2009, to be held Thursday October 29 from 6.30pm and is now calling for entries from far and wide. Anyone can enter so it’s time to get busy. The prize package for last year’s event totaled $40,000 and featured film equipment and highly valued services from the cream of New Zealand’s film production companies. Stay tuned for an announcement on this year’s prize pool. Last year, a record 122 entries were received, smashing the previous mark of 93 set in 2006. 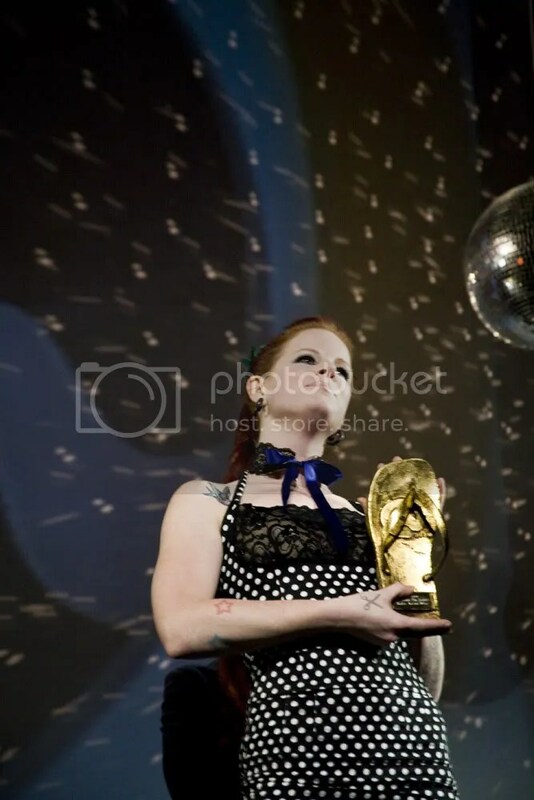 The overall winner of the Golden Jandal was The Downlow Concept for their controversial video for the Hot Grits track ‘Headlights’, notorious for its depiction of toddlers drinking milk at a nightclub. Handle the Jandal is the annual competition for Do-It-Yourself New Zealand filmmakers to create music videos for local bands and artists. It’s about matching rising music stars with up’n’coming filmmakers, so all videos must be completely self-funded and may only use New Zealand music. A panel of judges will decide Best Editing, Best use of Exploitative Tactics to Promote a Band, Best Cinematography, Best Concept, Best Animation and Rising Star. An audience vote at the awards will decide the seventh golden flip flop category: the Favourite Handle the Jandal Video award winner. All videos may be promoted and re-broadcast on television, mobile phone networks and social networking websites.